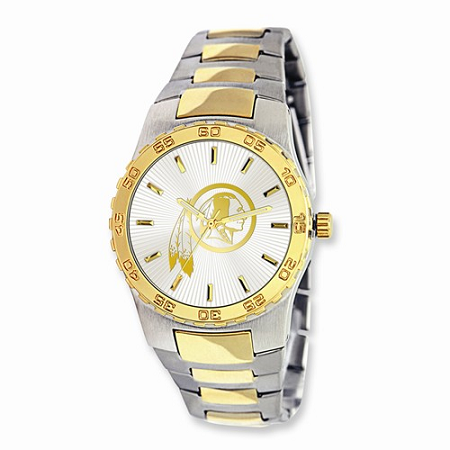 Mens NFL Washington Redskins Executive Watch: NFL Washington Redskins Executive Watch comes with limited warranty. It has battery reference number of SR626SW. Stainless steel band looks sophisticated. It comes in two tones. It has Deployment buckle. Gold tone markers makes it more precious.